My law firm specializes in private, independent placements and agency assisted placements. I also do stepparent adoptions, guardianships, paternity and adult adoptions. Adoptions have been my specialty for over 25 years. I serve as legal counsel for several local and national adoption agencies. I am a founding member of the American Academy of Adoption Attorneys ( Quad A) and the Academy of California Adoption Lawyers (ACAL). I am an adoptive parent myself. I have served as Case Management Supervisor for over eight years with Attorney George Maricic. I case manage many of our birth mothers here in Southern California. 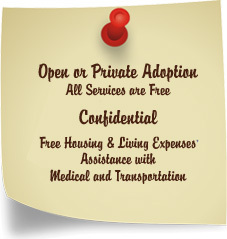 I am also an independent contracted caseworker for out-of -state adoption agencies. I enjoy speaking publicly about “Adoption Choices”at public schools and community events. I am the very proud parent of two beautiful adopted girls. I began my career as a Bank Operations Officer. Prior to my husband and I starting a family I was fortunate enough to go back to school to complete my Accounting and Business Administration degrees and certifications. While in college, I worked in a one girl office as a secretary for a Criminal Law Specialist and came on board with Attorney George Maricic as their Financial Advisor, when my former boss decided to go to work for the Public Defender’s office. That switch was an amazing 22 years ago! I must say that I do enjoy “happy law” much better. Helping to make families is the best feeling! I know first hand how it feels to adopt and that makes my job extra special. My husband of 37 years was adopted at age 4. My husband blessed me with two wonderful step children and together we expanded our little family by adopting two beautiful daughters. Holly came to us at 3 months old and Whitney at 16 months. Now that the girls are adults, it is wonderful to see them be advocates for adoption. As a final note, I am now having fun being an honorary Grandma to Jaiden and Madison, thanks to my step daughter.